SYNOPSIS - The New York City Police Department Emergency Service Unit is one of the world’s preeminent tactical and rescue units. Their ten squads, positioned throughout the five boroughs of New York City, provide heavy weapons support to other units of the NYPD, as well as lifesaving equipment to the residents of the ‘Big Apple’. The nearly 500 members of this elite unit are some of the most highly decorated members of the Department. As a result, their insignia has been long sought after by fellow operators and collectors around the globe. In 2015, the author set out to chronicle the nearly century old history of the unit’s insignia in: Uncommon Valor – Insignia of the NYPD Emergency Service Unit. Now, in this follow-up book, the author examines the unit’s challenge coins, from the first ones created in the late 1990’s to the rare ‘members only’ coins. It also includes the NYC Housing and Transit Police, Emergency Rescue Units, which were merged into the NYPD ESU in the mid 90’s. 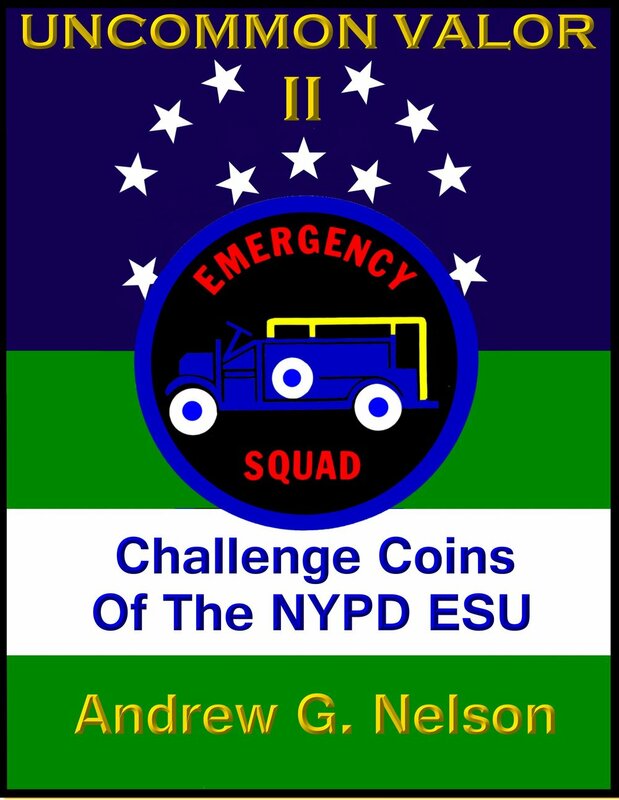 With over 100 photographs, Uncommon Valor II – Challenge Coins of the NYPD’s Emergency Service Unit, provides the most comprehensive examination ever conducted.